One of the prettiest of our area's small lakes is just a stone's throw from downtown Coeur d'Alene. That quiet, secluded lake is Fernan Lake, and clustered on its western shore is Fernan Lake Village. Downtown Coeur d'Alene's main street, Sherman Avenue, begins at the City Beach of Lake Coeur d'Alene on the west, and runs right into Fernan Lake Village at it's eastern end, just a couple of miles away. 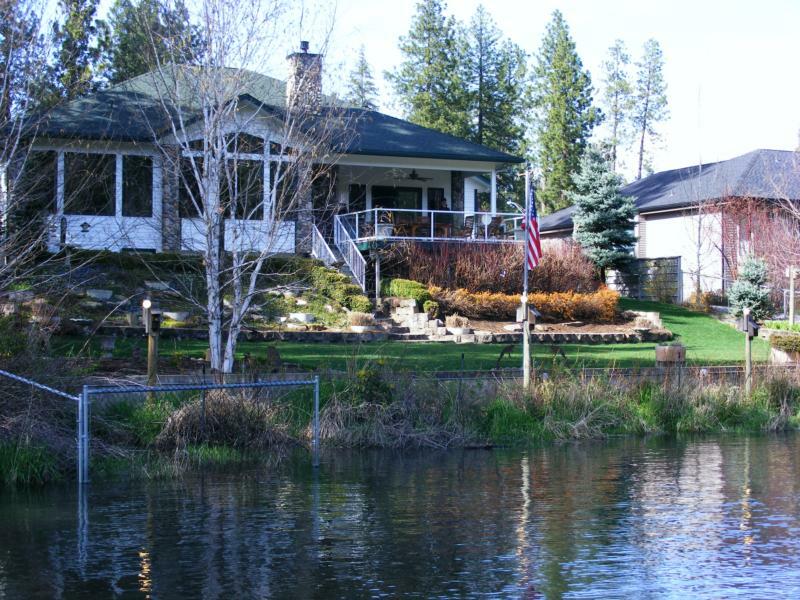 It is interesting to note that although homes in Fernan Lake Village have a Coeur d'Alene mailing address, the village is an incorporated town and not part of the city of Coeur d'Alene. It elects its own mayor and city council. 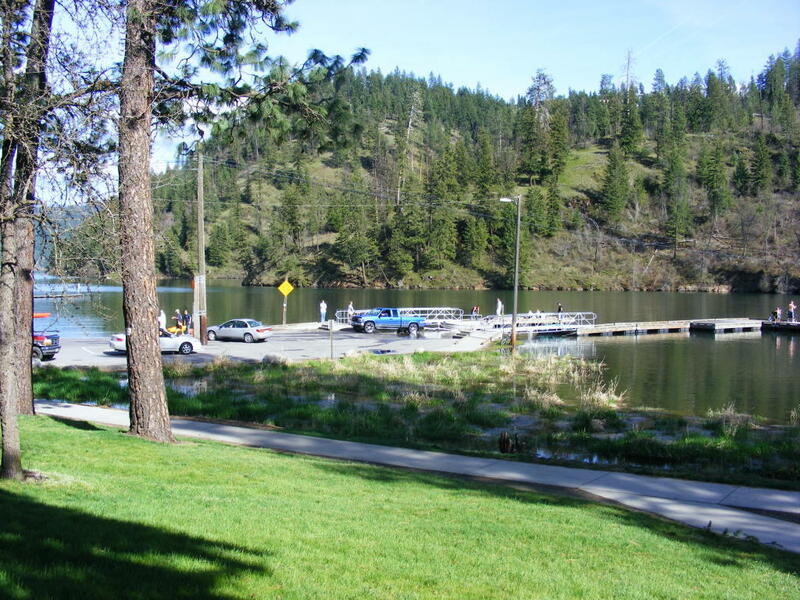 Kootenai County maintains a public park and boat launch in Fernan Lake Village. 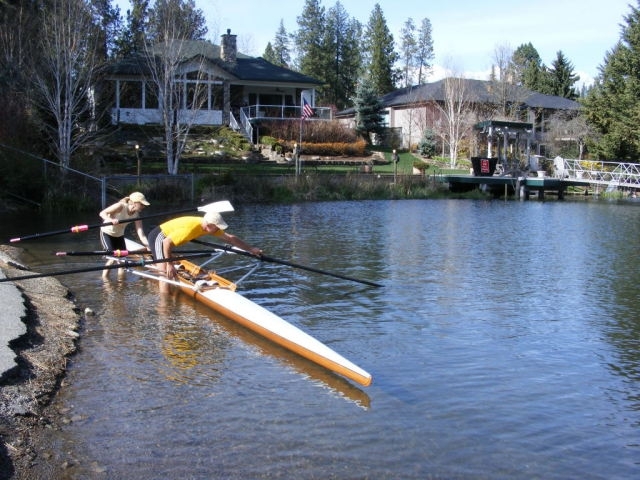 Fernan Lake Village, in downtown Coeur d'Alene, Idaho is just a stone's throw to I-90, scenic Coeur d'Alene Lake Drive and the Centennial Trail System. One of the draws to this beloved enclave is that it is so conveniently located to all the action downtown. And although Coeur d'Alene is a bustling tourist destination in the summer, Fernan Lake Village remains off the beaten tourist track. Fernan Lake Village consists of 72 homes, 19 of which are on the lakefront. The population was listed at 169 in the 2010 census. The neighborhood was developed in the 1950s and most of the homes were built in the '60s. It has a pleasant mix of homes. They are solid, with good bones, sitting on big lots. Some of the houses date back to the 1800s, having been moved from Fort Sherman. Homes don't often come on the market. When one does, it may provide an opportunity for an ambitious homeowner to update and personalize it into their dream home. Other homes have already been beautifully remodeled with modern fixtures and materials. The forested hillside across the lake from this scenic neighborhood is preserved as a park, with plans for a trail system in the future. All residents have access to the lake through a common lakefront lot owned by the secondary property owners, as well as the county boat launch and park. Fernan Lake is a fishing lake, stocked with trout, bass, crappie, channel cats and pike. It freezes most winters, so is perfect for ice fishing as well as ice skating. Residents regularly see a wide variety of wildlife including ermine, eagles, moose, and deer. Houses rarely come up for sale in Fernan Lake Village and sell quickly when they do. There is a wonderful sense of community, and the pride of ownership is evident. Homes are well maintained and beautifully landscaped. Fernan Lake Village has no homeowners association, no HOA dues, no CC&Rs. Homeowners are governed by their own set of ordinances, and have a city council and mayor with roads maintained by the city.